The first time we visited this famous fast food restaurant was during our first visit to the New York City. During that time, it has been 2 years since the last time I ate in the said fast food. So when I heard that the Jollibee was closer to the place where we stayed, I asked my friend to take us there so I could eat some of their food. This was during our vacation in the Philippines, I'm pretty sure I don't know what my son's reaction if he sees the big Bee outside the famous fast food. He instantly loves the mascot as well as the food. 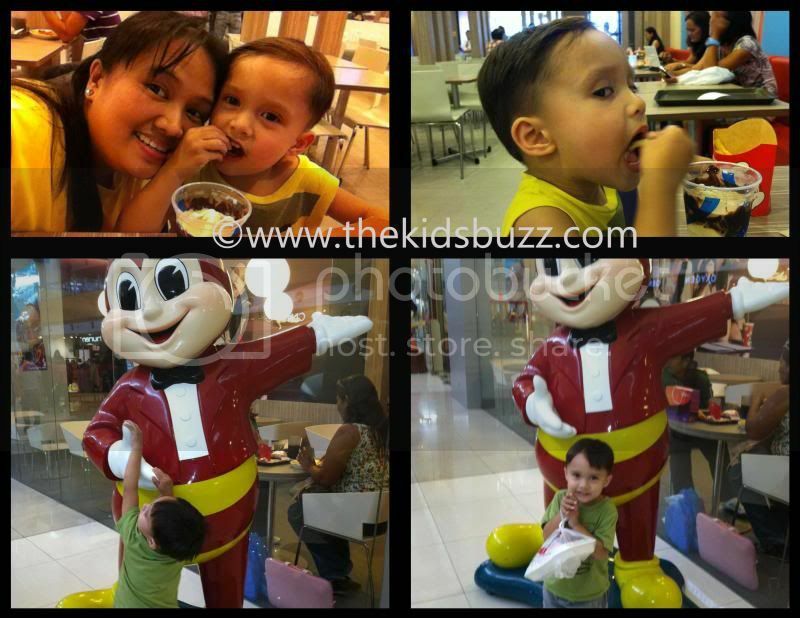 So, it's always a treat for my son and I visit the place as much as possible and took a few pictures for him to remember that he also likes Jollibee.